If you wish to restrict or block the cookies which are set by www.sustainablysolar.com. ,you can do this through your browser settings. The help function within your browser should tell you how. The affiliate advertisements displayed on this web site include certain products and links to those products on this site that I will earn an affiliate commission for any purchases you make. Any affiliate advertisements are chosen by me and are products that I recommend. 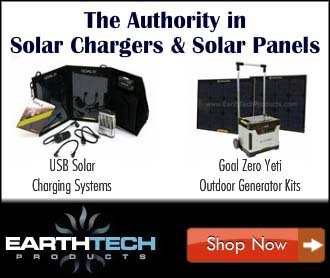 sustainablysolar.com is a participant in the Amazon Services LLC Associates Program, an affiliate advertising program designed to provide a means for sites to earn advertising fees by advertising and linking to but not limited to amazon.com, amazon.ca and amazon.co.uk. Affiliate links also include Ebay, LinkShare, ShareASale, AliExpress, Clickbank and it’s sponsors. Per FTC guidelines,www.sustainablysolar.com would like to disclose that we may be compensated for our personal opinions, views, and affiliate relationships with some of the featured products and services. Google Adsense Media.net, Amazon Associates and Ebay are examples of such relationships. Such content, advertising space or posts may not always be identified as paid or sponsored content. All offers or claims are subject to change without notice and should be verified with the manufacturer, provider or party in question. All the information on this website is published in good faith and for general information purpose only. www.sustainablysolar.com does not make any warranties about the completeness, reliability and accuracy of this information. Any action you take upon the information you find on this website (www.sustainablysolar.com), is strictly at your own risk. www.sustainablysolar.com will not be liable for any losses and/or damages in connection with the use of our website.